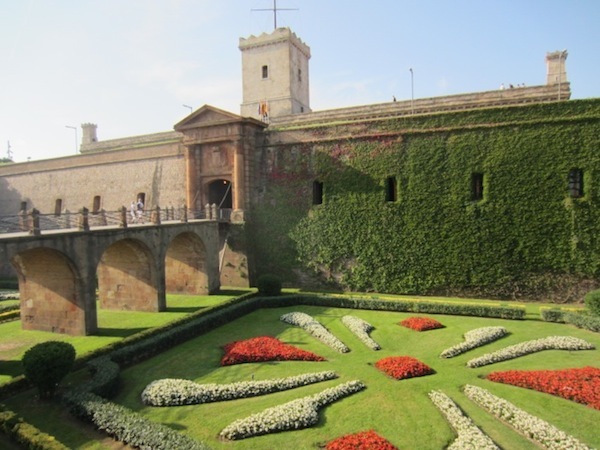 Many people who visit Barcelona may overlook Montjuïc. Often overshadowed by the over-the-top Modernista sights that the city is known for, Montjuïc offers visitors a respite from the tourist-filled streets, not to mention a great view of the city. What’s event better is that many of the sights on Montjuïc are free, making for an affordable and laid back day of sightseeing in Barcelona. While Montjuïc has everything from recreational areas to museums, many of the sights that remain today are a result of 2 major events – the 1929 Worlds Expo and 1992 Summer Olympics. Long before these 20th century events, the hill was anchored by the Montjuïc Castle. Not your typical castle, the star-shaped fortress dates back to 1640 has served as a defensive fort, a prison, a military museum (which was inaugurated in 1963 under Francisco Franco) and now a municipal facility. Only the shell of the original structure remains, but the Montjuïc Castle is still a worthwhile sight to explore, especially for its commanding views overlooking Barcelona and its harbor. And if you happen to visit in the summer, you can catch a movie in the moat during an open-air film festival at the castle. The 1929 Barcelona International Exposition put Montjuïc on display for the world to see. 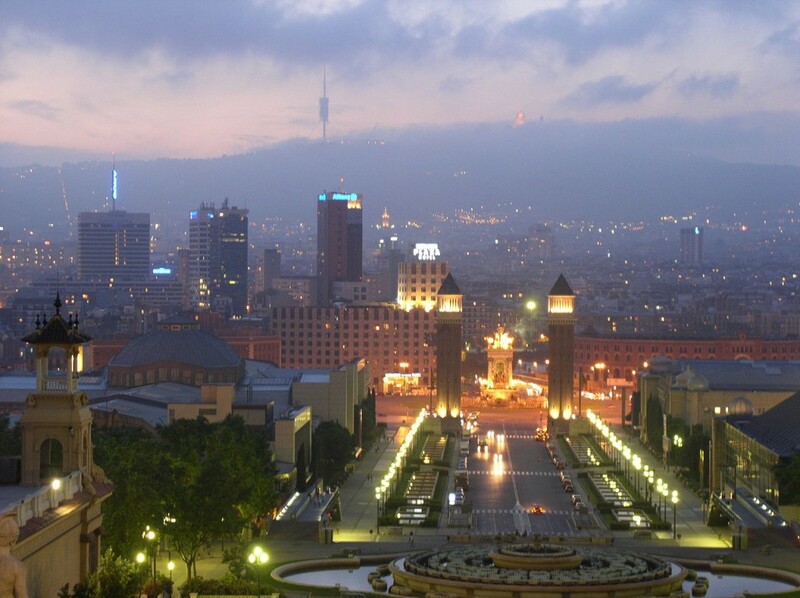 This was Barcelona’s second go at hosting the Worlds Expo (the first was in 1888), and Montjuïc was chosen as the site because of its availability of space. Planning began in 1905, led by Modernista architect Josep Puig i Cadafalch, targeting 1917 for the event, which was postponed more than a decade due to World War I. As you may expect, the Worlds Expo had a huge urban impact throughout the city – buildings were remodeled, metro lines were extended and the funicular that is still used today to reach Montjuïc was constructed in anticipation of the event. That year, 20 countries participated in the Worlds Expo, each with a dedicated week to “show off”. While many of the pavilions and sights were never intended to be permanent and were torn down shortly after the event, a few exceptions remain today. 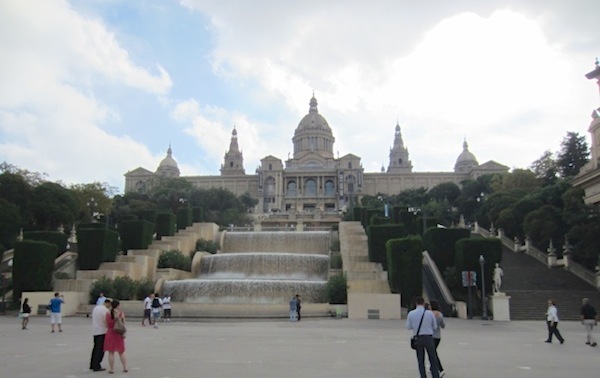 Starting at the top of the hill, the Palau Nacional was the grand exhibition hall for the event and is now home to the Museu Nacional d’Art de Catalunya (MNAC) with an impressive collection of art from the 10th to the 20th century. As you descend down the hill, notice the grab bag of architectural styles and elements, from the neoclassical columns (representative of the Catalan flag) to the Venetian towers that flank the entrance of the exhibition area (modeled after St. Mark’s in Venice). Even Plaça d’Espanya at the bottom of the hill drew its influence from St. Peter’s in Rome. 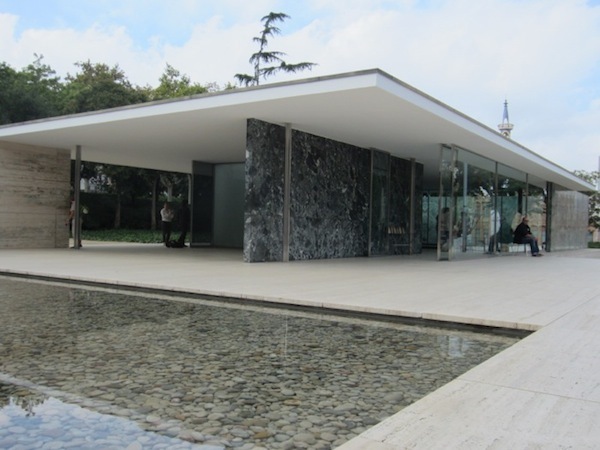 The Barcelona Pavilion designed by Ludwig Mies van der Rohe housed the German exhibition during the Worlds Expo. This decidedly modern building is one of the most significant pieces of architecture from the 20th century, promoting the idea that “less is more”. Simple in form, the structure includes a “floating roof” and furniture that Mies van der Rohe designed himself. Like other pavilions, the original structure was torn down but later rebuilt in the 1980s following Mies van der Rohe’s original design. 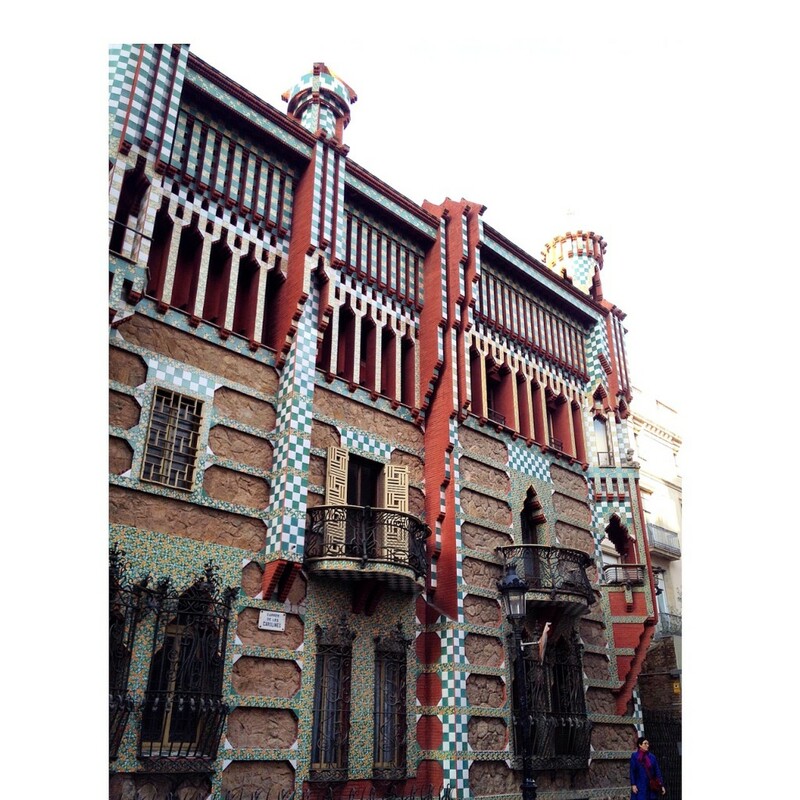 By contrast, the elaborate CaxiaForum across the street is an example of Barcelona’s Modernista architecture designed by Puig i Cadafalch. Formerly a textile factory, it now serves as a free museum and cultural center. Other sights that remain from 1929 include the Magic Fountain, with nighttime water and light shows that still wow crowds, and the Spanish Village that was designed to show off different styles of the country’s architecture. When you reach the bottom of the hill, you won’t be able to miss the Las Arenas Bullring, which was turned into a shopping mall after bullfighting was banned in Barcelona in 2010. 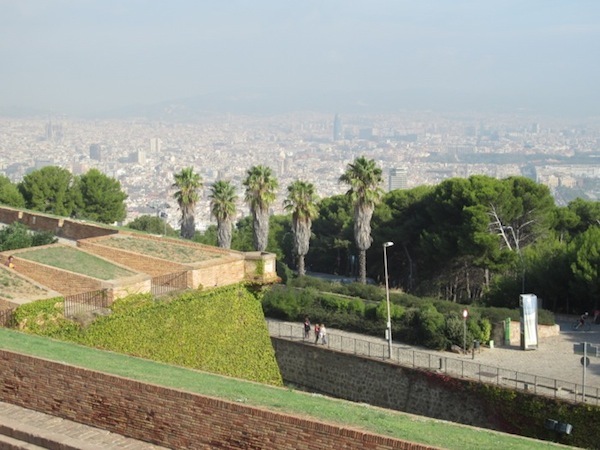 The 1992 Summer Olympics was a good excuse to spruce up Montjuïc for a new wave of visitors. In fact, the site was chosen because it already had a stadium that was originally built for the 1929 Words Expo. In fact, the site was chosen because it already had a stadium. Originally built for the 1929 Worlds Expo (for games between the participating nations), the Olympic Stadium was also intended to host an anti-fascist alternative to the 1936 Berlin Olympics, which never happened due to the outbreak of the Spanish Civil War. It was also used as a staging area for cars during the Spanish Grand Prix in Montjuïc in 1975. The exterior you see today is original, but the interior was completely rebuilt to accommodate 65,000 spectators for the 1992 games, and the stadium has since been served as a venue for events ranging from football to concerts. Fun fact: Michael Jackson performed a concert at the stadium as part of his Dangerous Tour in 1992. Other sights in the “Olympic Ring” include indoor arenas, swimming and diving pools, as well as the 446-foot tall Communications Tower. Designed to resemble the body of an athlete, the tower was used to broadcast coverage of the games around the world. 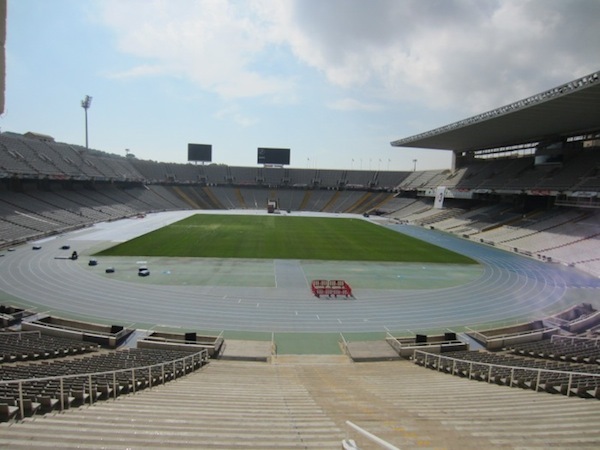 The 1992 Olympics hosted athletes from 169 countries and was such a hit that Barcelona soon became one of the most visited cities in Europe after Paris, London and Rome. 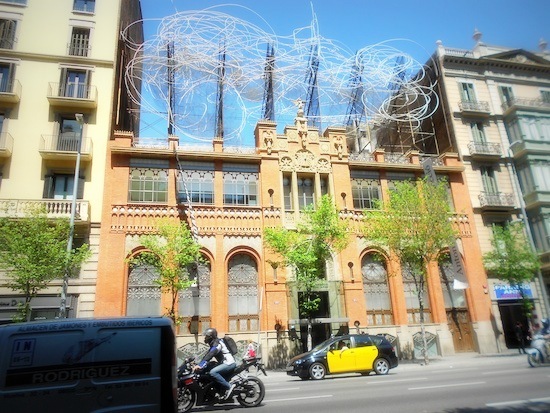 Also nearby is the Olympic and Sports Museum, celebrating the 1992 games and Olympic history, and the Fundació Joan Miró contemporary art museum dedicated to Barcelona’s homegrown artist. There are several different ways to reach Montjuïc, whether you choose to start at the top and work your way down or vice versa. Most of the sights are within walking distance of each other, but there are also several bus lines (#50, #55 and #193) that run through Montjuïc. 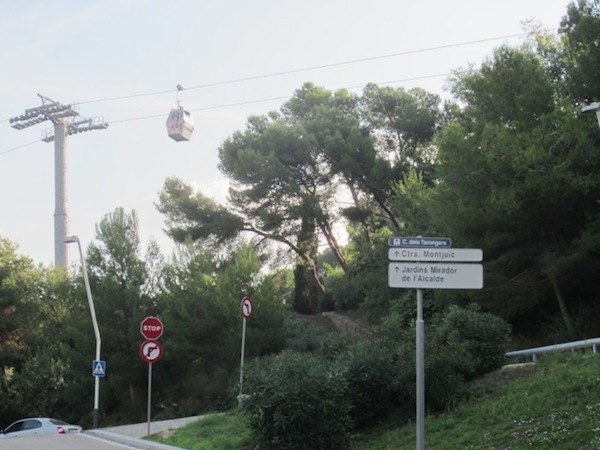 Take the L2 or L3 metro line to the Paral-lel stop, then follow the signs along the path to reach to reach Montjuïc Castle (it’s about a 15 to 20 minute uphill walk). Alternatively, you can take the Montjuïc Funicular (covered by your metro ticket) from the metro station to the top of the hill. Take the L1, L3 or L8 metro line to the Plaça d’ Espanya stop, which drops you off at the entrance of the Worlds Expo area. Alternatively, there’s also an aerial tramway (which was intended to be a tourist attraction for the Worlds Expo but didn’t open in time) that runs across Port Vell between Montjuïc and Barceloneta. While a little pricy, it is a novel way to reach the hill with great views as you cross the water. 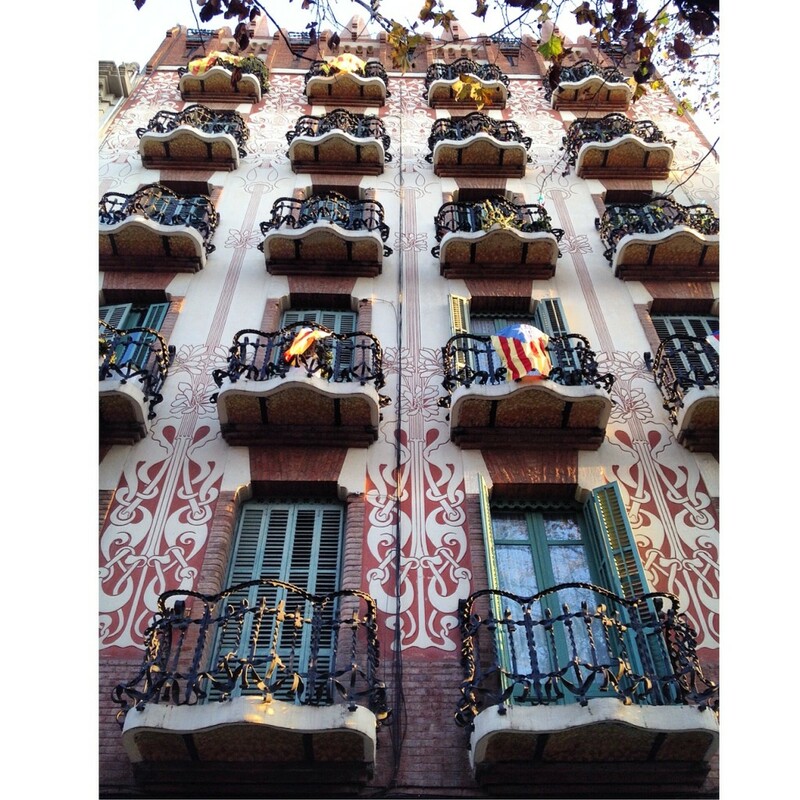 If you’re trying to decide where to stay during your trip to Barcelona, keep reading for an overview of the most central neighborhoods. And keep in mind my personal rule of thumb (though absolutely not a hard-and-fast rule! ): if you’re there for just a couple days, better to splurge and stay somewhere very central so you can make the most of your time and avoid any time wasted on public transport (efficient though it may be). If you’re staying for a longer period of time (say, 4 days and up), stay somewhere a little less central and a little more residential: you’ll save money and you’ll get to know the “real” city and not just the touristy parts. 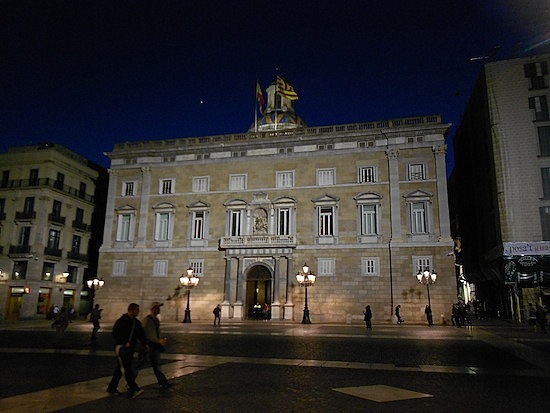 The Ciutat Vella (Old City) is basically the historic center, which is subdivided into a few different neighborhoods – Gothic Quarter, El Born/La Ribera/Sant Pere, La Rambla. These are the most central neighborhoods of Barcelona. 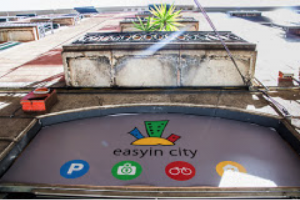 If you stay in the Gothic Quarter, El Born/La Ribera/Sant Pere, or La Rambla, you will be within walking distance of most tourist sites and you’ll only have to take public transport to get to the Sagrada Familia, Park Güell, or Montjuïc. 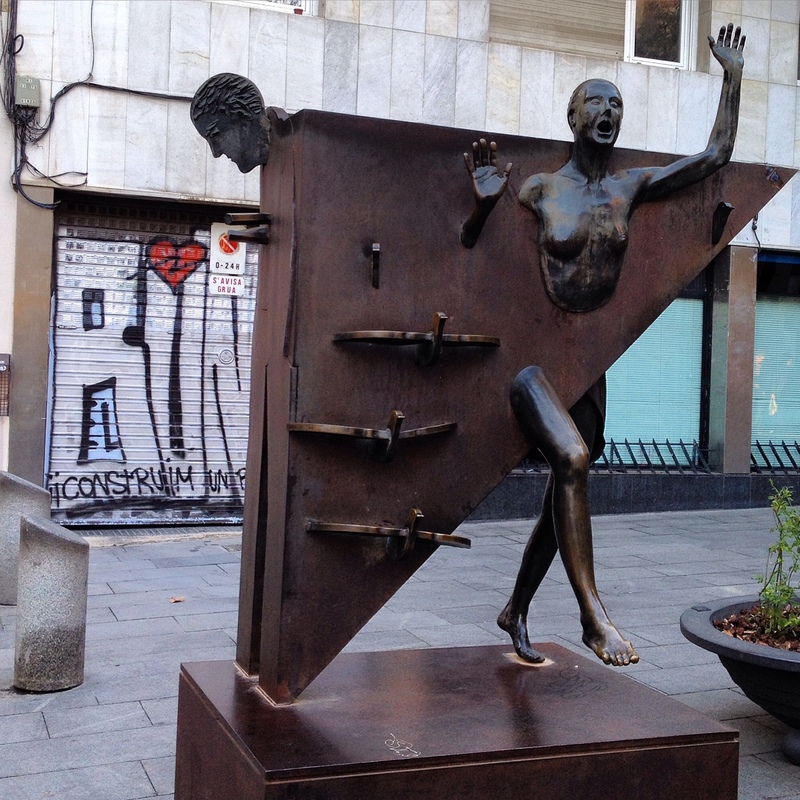 If you’re into walking, you can also easily get to the Manzana de la Discordia in L’Eixample. El Raval and Barceloneta are also central, but slightly less so, so you may use the metro a little more often if you stay in either of these areas. 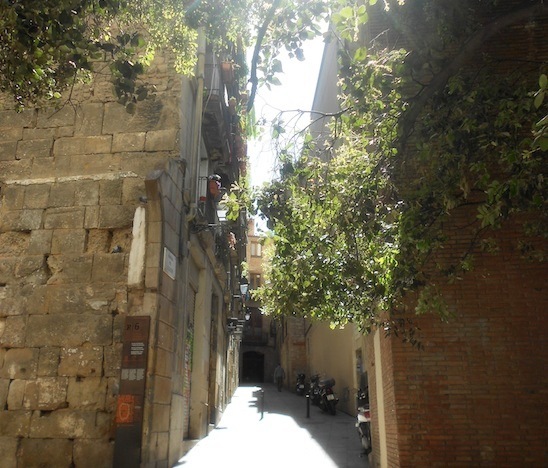 Barri Gòtic (the Gothic Quarter) – this is the very oldest part of Barcelona. It has the ruins of an ancient Roman wall and the medieval Jewish quarter. 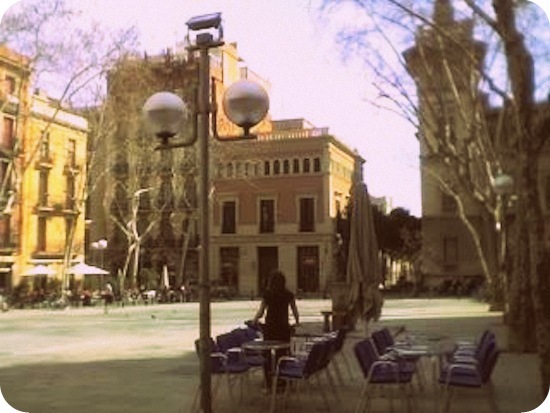 You’ll find the Cathedral as well as Plaça Sant Jaume with City Hall and Plaça Reial (my favorite square in Barcelona!). Fairly new restrictions on accommodations in this area have forced many to close or move; you will find some here but not as many as you might think. 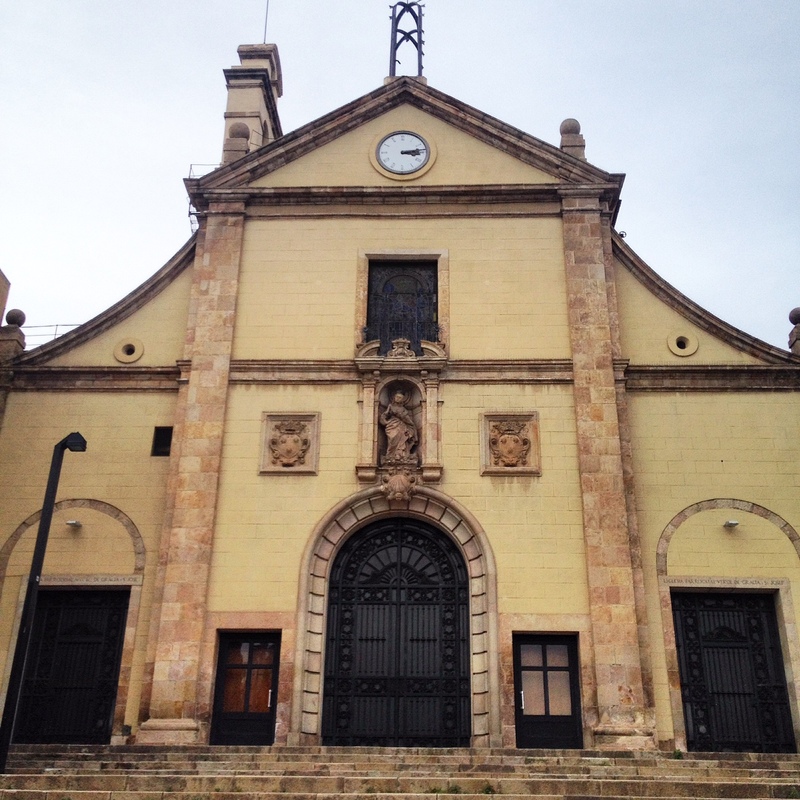 El Born/La Ribera/Sant Pere – there is a confusing mess of names for this neighborhood (three of which I’ve mentioned above): the areas referred to overlap one another, or are different names for the same area. But for our purposes, we’re talking about the neighborhood on the other side of via Laietana – the main artery that basically cuts the old city in half — from the Barri Gòtic. El Born (more or less the lower part of the neighborhood) is now a very trendy area with lots of restaurants, bars, and boutiques. The upper part of the area is a little more traditional and less touristy. 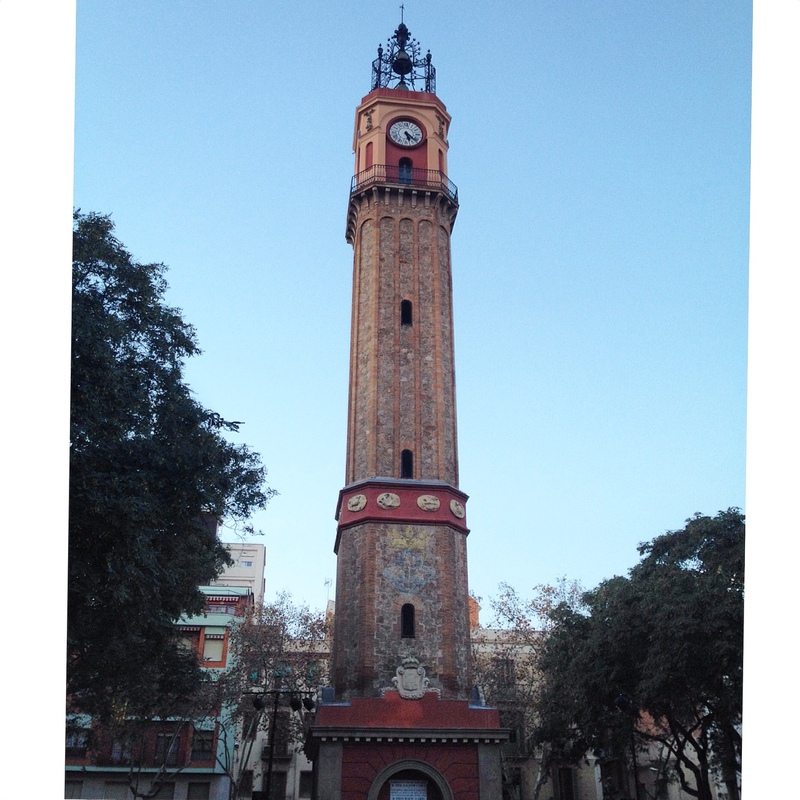 This area is home to the Picasso museum, and is close to the Arc de Triomf and the lovely Parc de la Ciutadella. There are more accommodations here than in the Barri Gòtic, but they’re still limited simply due to space constrictions. 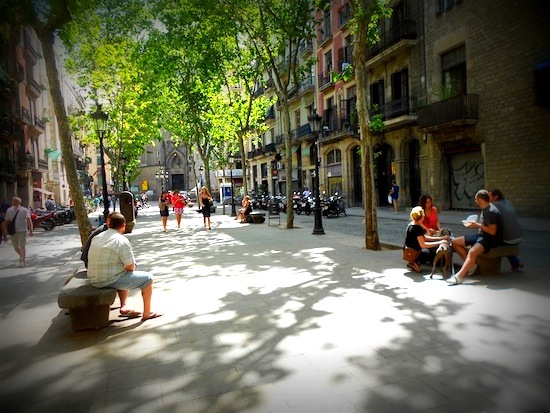 La Rambla – also referred to as Las Ramblas, this is the big tourist strip of Barcelona. 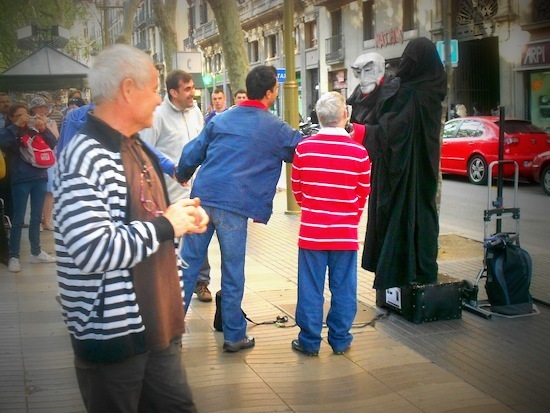 While you’re on or near La Rambla, you must be viligant about watching your wallet or bag because pickpocketers abound. La Rambla runs from north to south starting at Plaça de Catalunya and ending at the port, and divides the Barri Gòtic and El Raval neighborhoods. 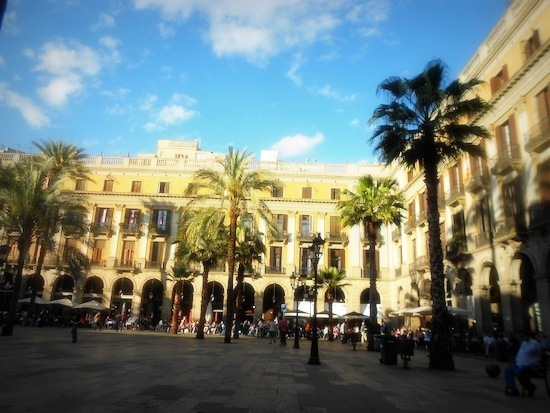 La Rambla itself is a tourist trap – but an interesting, not-to-miss one. 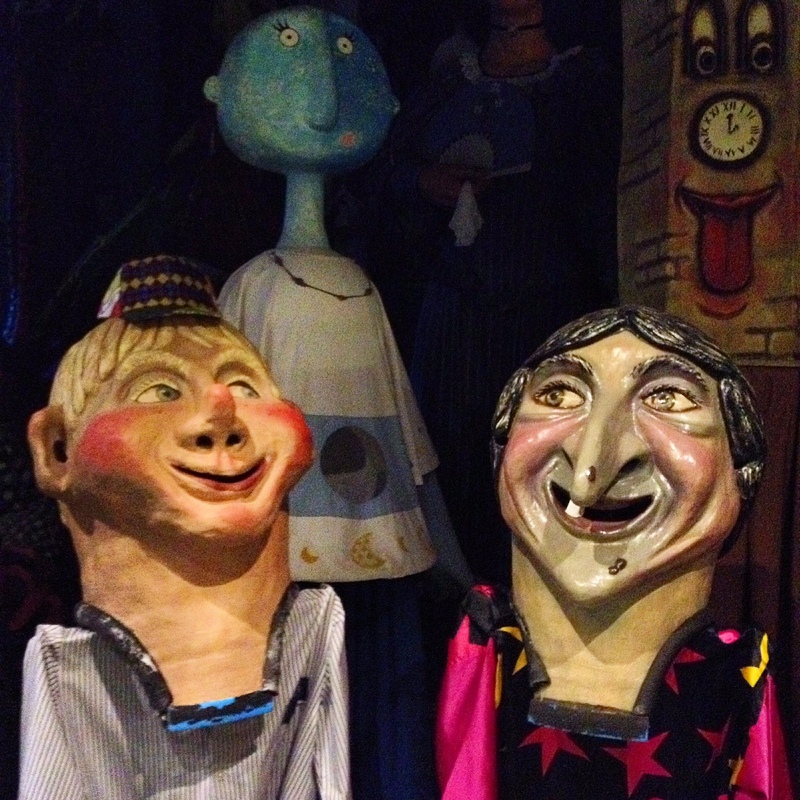 A stroll down it to see the human statues and performers, and the flower, bird, and souvenir stalls, is obligatory. But I don’t recommend eating or drinking anything at the restaurants/bars: I’m sure it makes for good people-watching, but the arm and leg you will be charged is not worth it. 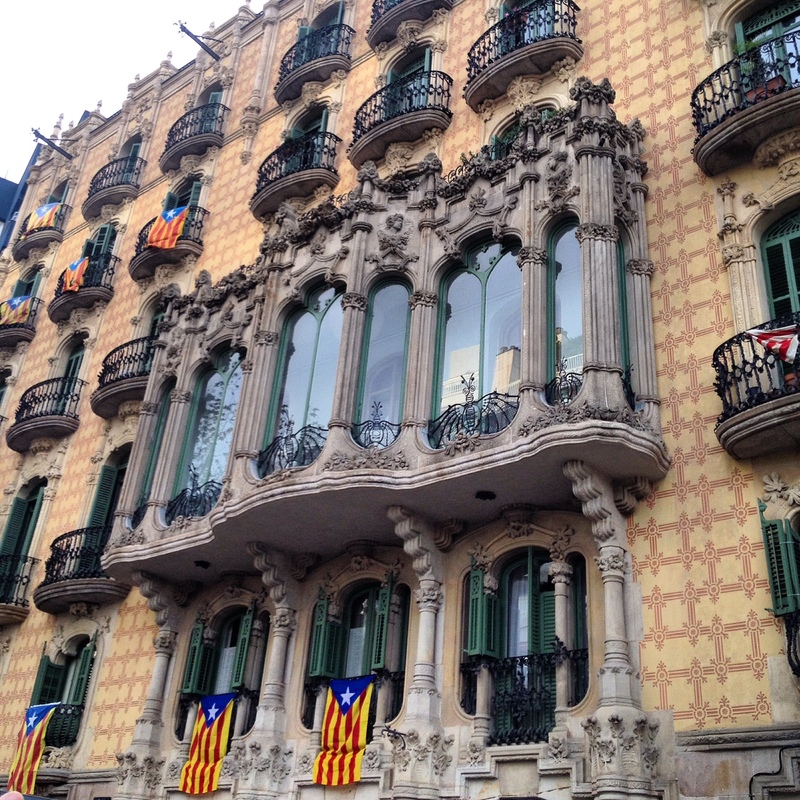 As far as accommodations, right on La Rambla and the Plaça de Catalunya you’ll mostly find expensive hotels. 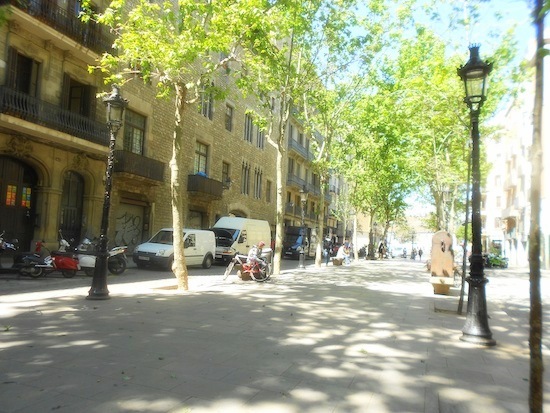 El Raval – the neighborhood on the other side of La Rambla from the Barri Gòtic. It used to have a very bad reputation as being seedy, dirty, rundown, and even dangerous (think: prostitutes and drug dealers). However, since Barcelona got cleaned up for the 1992 Olympics, like the rest of the city, it’s been revitalized. These days it’s an up-and-coming trendy, artsy, bohemian, multicultural neighborhood, full of interesting night spots and bars. 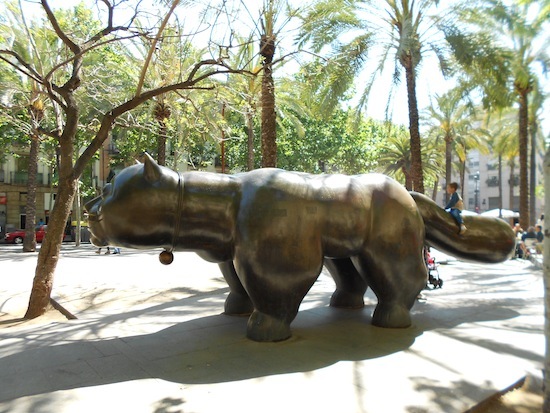 Here you’ll find the MACBA (Modern Art Museum of Barcelona), the Boqueria market, and the Rambla del Raval (don’t miss the fat-cat statue!). The lower area close to the port is still more rundown looking with some litter and graffiti. More and more tourist accommodations are opening up in El Raval, from hotels to B&Bs or private apartments. 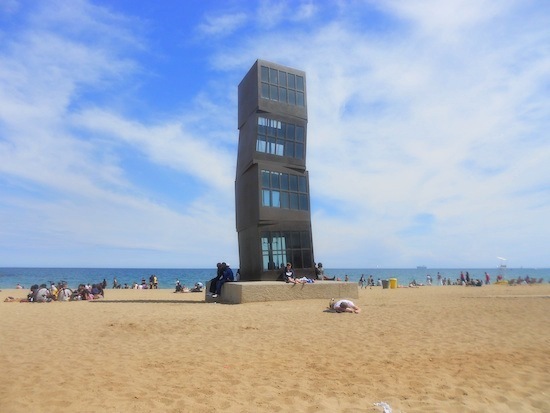 Barceloneta – If you’re looking at a map of the city, this is the small area that juts off the bottom of Barcelona on the east side of the port. It used to be a working-class area populated mostly with fishermen and their families; today it’s a mix of local families who have been there for generations, expats, and tourists. The grid-pattern streets are narrow and in the more traditional parts of the neighborhood you’ll see laundry strung out to dry on lines stretching across the street. Closer to the water and in the squares, you’ll find some of the best seafood and paella restaurants in the city. The city’s most popular Barcelona beach is here, and you can walk up and down the boardwalk to get to other beaches. Smaller tourist accommodations, mostly rental apartments, are in this area and especially popular in the summer. The following three neighborhoods are very central, though less so than the historic center. They’re all well-connected by metro and bus so you can very easily get anywhere you need to. 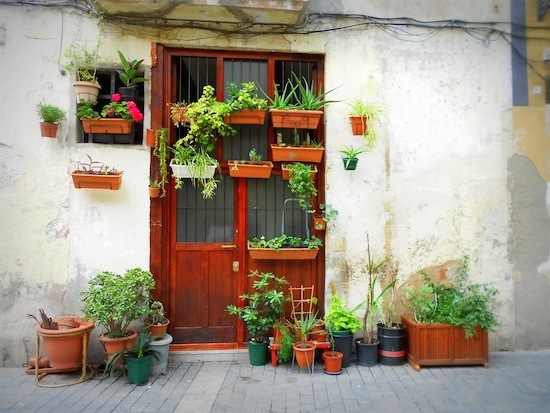 L’Eixample is a mix of touristy and residential, being the closest of the three to the Old City. Gràcia and Sagrada Familia are the least touristy and will give you the most genuine what-it-feels-like-to-live-in-Barcelona experience. L’Eixample – locals further narrow this neighborhood down to “L’Eixample Esquerra” (left-hand side) and “L’Eixample Dreta” (right-hand side), but it’s all part of the same residential neighborhood just north of the historic center. 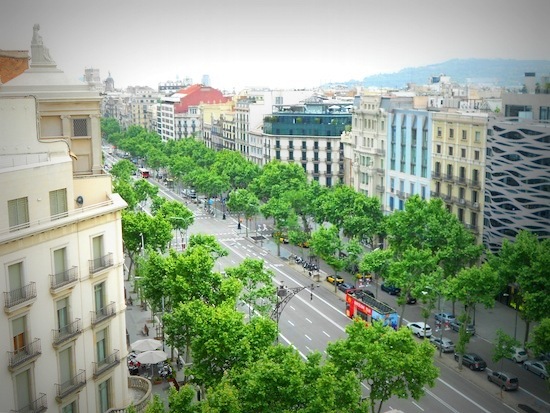 The main thoroughfares are the Passeig de Gràcia, the Rambla Catalunya, the Gran Via Corts Catalanes, and the Avinguda Diagonal. 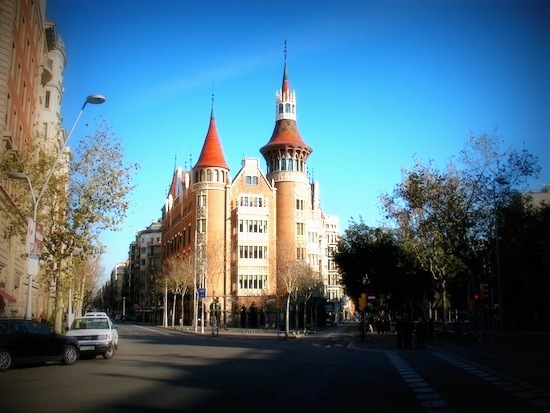 L’Eixample is a mix of residential apartment buildings, offices, businesses, stores, bars, and restaurants. 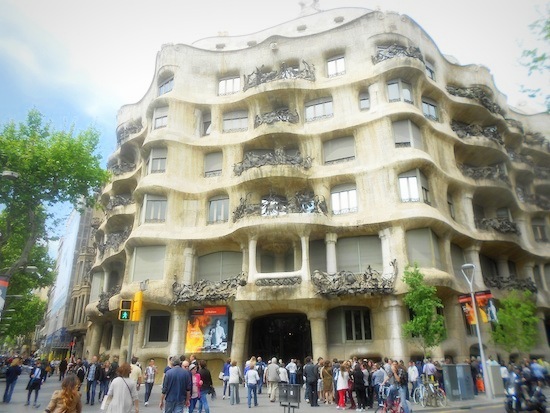 Here you’ll find the most important Modernista buildings, including Gaudí’s La Pedrera and Casa Batlló. The neighborhood is also packed with tourist accommodations (hotels, B&Bs, rental apartments). 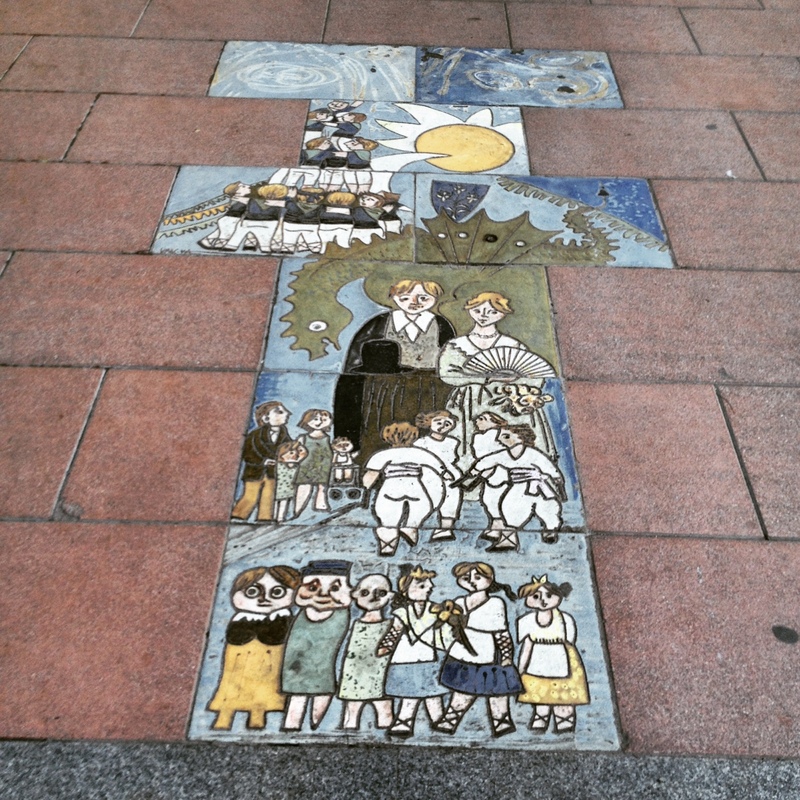 Gràcia – north and a little to the east of L’Eixample. 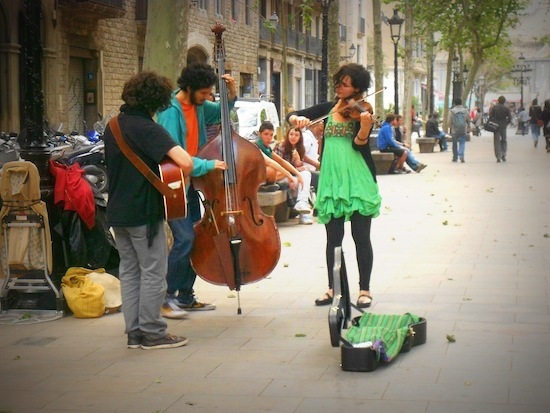 This area is absolutely adored by young Barcelonians and expats alike. Once a very traditional neighborhood, you’ll still find older locals mixed in with the artsy, bohemian types who are flocking here. You won’t find many “tourist sites” in this area, but its charming streets and squares filled with terrace (outdoor) bars offer good nightlife and food, and the interesting little shops are great for a not-so-touristy souvenir to take home. Being less touristy than the historic center of neighboring L’Eixample, you will find accommodations here, but not nearly as many. 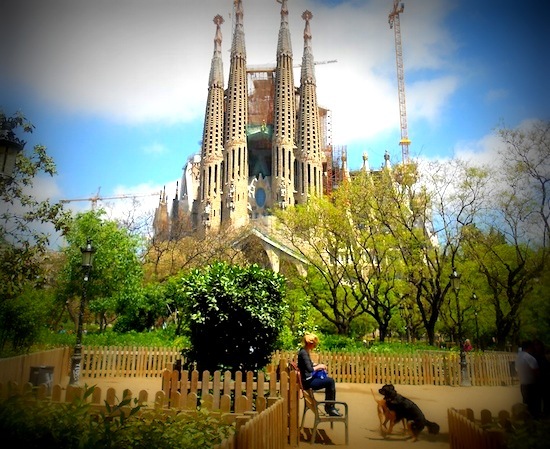 Sagrada Familia – here we’ve got another confusing neighborhood-name issue. The Sagrada Familia is technically in L’Eixample, but tends to be referred to anyway as its own neighborhood. 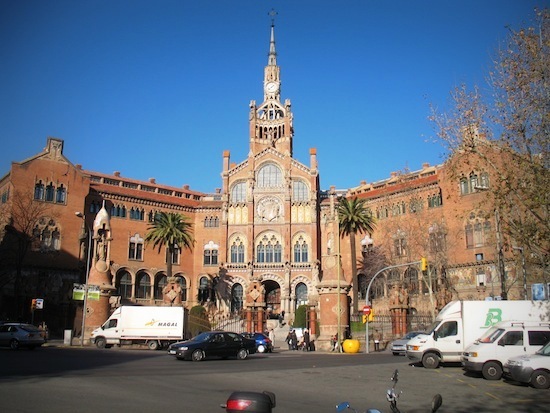 Also, nearby neighborhoods that are within walking distance of the Sagrada Familia have their own names – for example, Hospital de Sant Pau, Guinardó, or Clot – but for clarity purposes here I’ll just refer to the whole thing as “Sagrada Familia”. The main tourist site in this area is, obviously, Gaudí’s magnificent Sagrada Familia Basilica, and there’s not much else there in the way of tourist attractions. 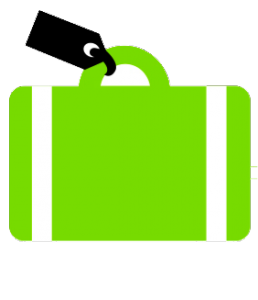 That means most tourists stay in other areas and take the metro out to see the Sagrada Familia. Besides the few blocks around the basilica, the area is mainly residential, with shops, businesses, and restaurants. 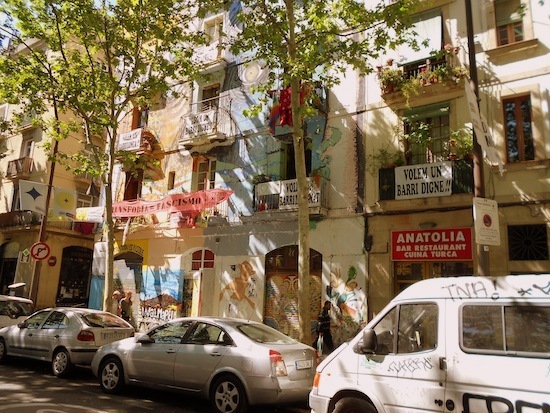 Like Gràcia, you’ll find some tourist accommodations (as you will all over Barcelona) but not as many as the more central neighborhoods mentioned earlier. It’s worth mentioning that there are, of course, plenty of other neighborhoods in Barcelona, although they aren’t as central as the ones mentioned above, and are less frequented by tourists. For instance, we work with some properties, like Anita’s B&B, in the Sant Gervasi area (kind of far out near Tibidabo mountain, but with an amazing view of the city), Poble Sec (a residential neighborhood close to Montjuïc), and the Olimpic Port area (a kind of industrial-looking residential neighborhood, but super close to the beaches and Barceloneta). If you’re considering accommodation in an area that’s not mentioned above, just take a look at the map of Barcelona: if it falls within the boundaries of a tourist map, or if it’s close to a metro stop, you’ll be just fine. -The metro is extensive, with 11 different lines going throughout the city and into the surrounding areas. There are close to a hundred bus lines which also cover places the metro doesn’t quite get to. -In my experience, the buses and metro are clean and safe, and staff is pretty helpful. -The metro is super easy to navigate; ticket machines are self-evident (and you can choose English), and there are maps everywhere clearly indicating where you have to go. The bus system is a little trickier, but if you get a bus map or ask the driver or a local, you’ll get where you want to go. -Both the metro and buses run until late. You can easily get back to your accommodations after a late dinner and a leisurely stroll around the city. If you’re planning on partying into the night, you’ll probably need to grab a taxi back (which is cheap in Barcelona). -Both buses and metro are rather efficient. Metros go by every few minutes, with wait times updated to the second on screens over the platform. Buses go by pretty frequently too and you can use your smartphone to easily get wait time updates. If it sounds like I’m raving… well, maybe I am just a tiny bit. After years of living in Rome, the public transport system in Barcelona really is impressive to me. The point, though, is that it’s so easy to get around the city at almost any time of day that you can really stay anywhere you want. You’re not confined to the historic center because it’s too much of a pain to get back and forth from other areas, as you are in some big cities. This, in turn, means that accommodations are spread out all over the city rather than just being concentrated downtown. 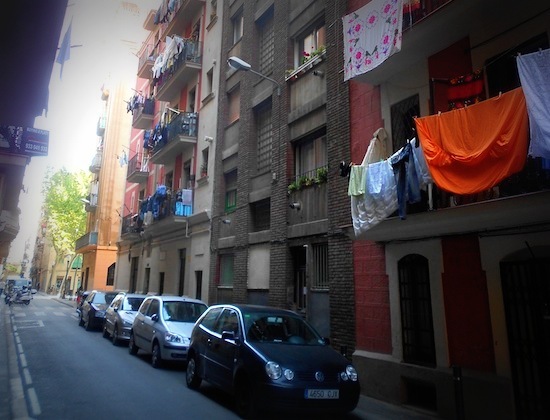 In fact, from my experience and research, it seems that the residential L’Eixample neighborhood has more hotels, B&Bs, and rental apartments than the historic center does.